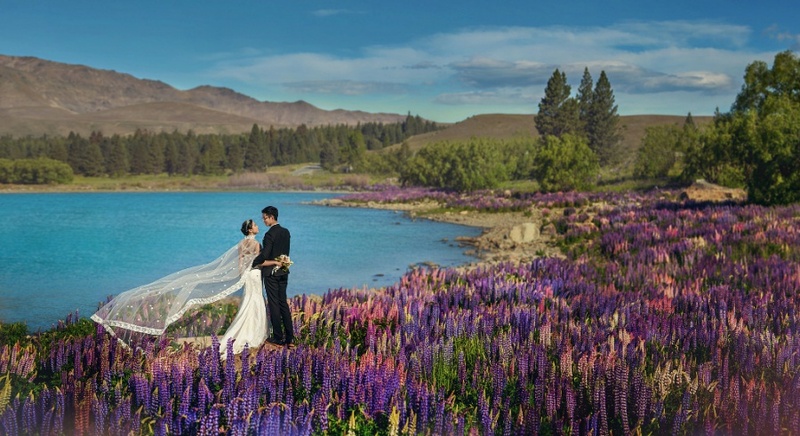 Han Khee and Chau Yang had their pre-wedding photoshoot at New Zealand as they were mesmerised by the breathtaking scenery that it offers. We had 2 days of photoshoot with them to cover all the lovely places that they dreamt of! They were such a lively couple and it was a breeze shooting for them as they glowed with pre-marital bliss. Check out their gorgeous photos below and read on to find out about the shocking incident that happened during the shoot! They were from the same primary school in Malaysia and CY was a close friend of HK’s eldest sister. However, they have never spoken until a decade later when HK wanted to head back to Malaysia to spend the university break with her sister. HK’s sister played cupid and gave her CY’s number, telling him to give her a lift since they were heading the same way. Through their candid conversations and his gestures of kindness, HK fell head over heels for him and we are glad it was mutual! The only way to make your birthday even better is to be proposed to on your birthday! CK booked a staycation in Penang to celebrate HK’s 25th birthday and started on his secret mission. Upon reaching their hotel room, CK started playing HK’s favourite song and asked her to open the safe. There lay her dream Tiffany & Co engagement ring and HK couldn’t stop her tears from flowing! It was just a simple proposal with the two of them but that meant the world to her. 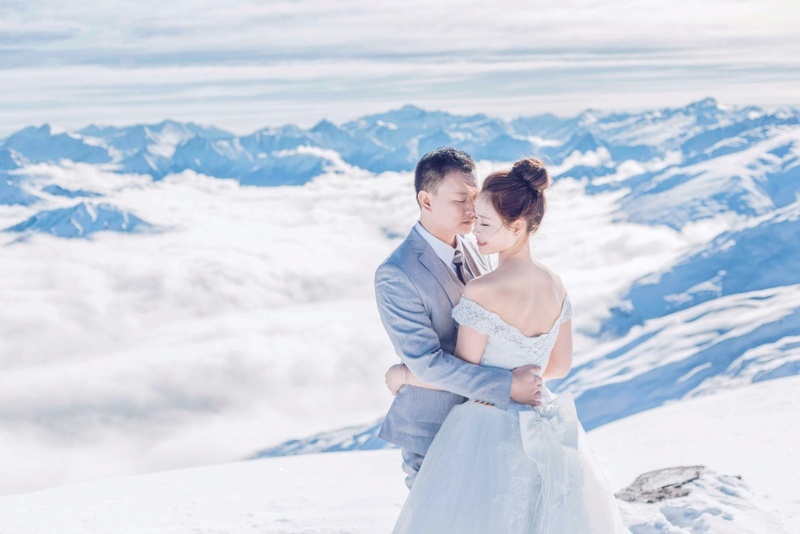 As the weather in New Zealand was rather cold, the dainty Tiffany engagement ring slipped off her fingers without her even realising! After lunch, they headed somewhere nearby for a few snaps and it was only then that she noticed her missing ring. After searching high and low for it, they decided to head back to the restaurant to try their luck. THANK HEAVENS it was right there on the toilet floor (not very romantic but definitely dramatic). It was almost an hour later but still left untouched, what’s yours will always be yours. 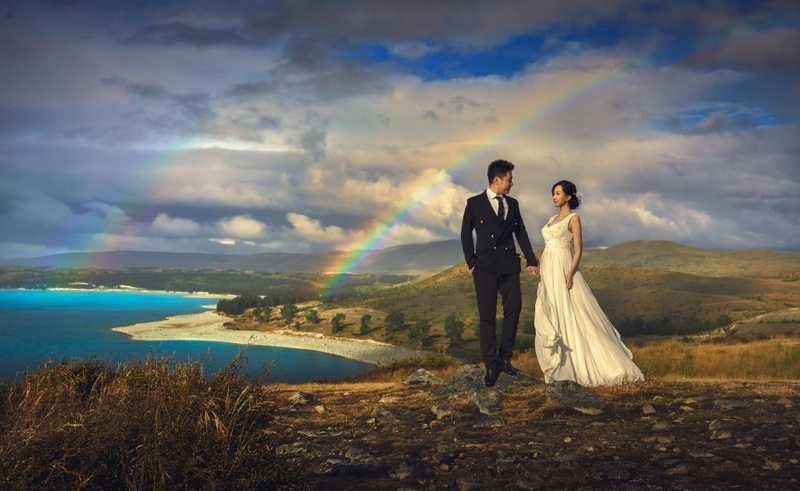 “Shooting with OneThreeOneFour was the best decision that we ever made! 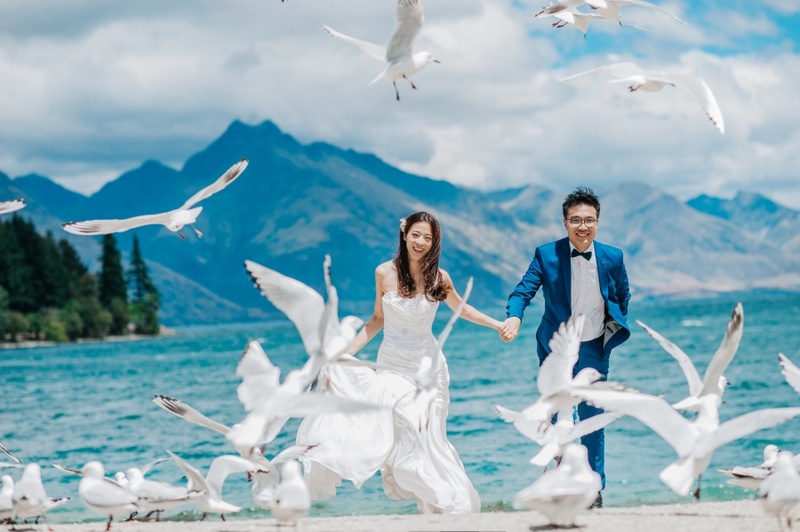 We last minute booked our prewedding 2 days before we flew and Eve was so great in arranging all the scenes that we wanted and she replied instantly which was very helpful because we were in a hurry. We are so blessed to have shot with this wonderful couple and we can’t wait to document all you lovebird’s special day! 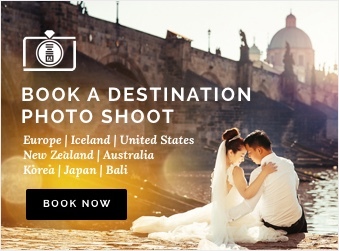 OneThreeOneFour is a professional at destination photography and we have shot with amazing couples all over the world! Head to our website for more details on our packages and chat with us if you have a place in mind!